This week in Your Parents Basement, it’s quiet… Too quiet… Be careful, it’s a trap! Do a barrel roll! As always, you can listen to this week’s show by downloading from the iTunes store – be sure to give us some starrrrssss! To manually download, click here. To manually subscribe to the pod, input this link to your device of choice. You can also follow us on Twitter, or ‘like’ us on Facebook. – Thanks to twitter user Tecmo Bowl vs. RBI (Baseball) for writing in! If his user name excites you, check out his website. – At several points, Steve mentions an interview with one of the programmers from the never-released Star Fox 2. It was for Nintendo Life, and you can read it here. A mastered ROM exists, but hasn’t been released, in contrast to the weird, alpha versions floating around the Internet. Surprisingly, the subject of the article, Dylan Cuthbert, also gets involved in the comments. 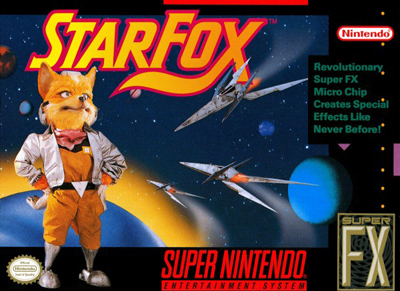 – Although it was widely rumored that there would be some sort of Star Fox presentation at E3, as of 7:30 p.m. EST on Sunday, there was nothing on the web. Nintendo’s main event is scheduled for Tuesday, June 16, so if there is something new, it’ll probably be covered in the Thursday news post. As of now, the next Star Fox installment is scheduled for release on the Wii U sometime in 2015, probably Christmas.